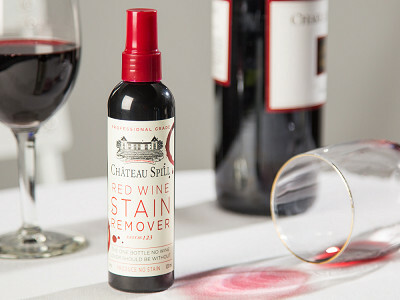 Playfully packaged in a wine bottle-inspired sprayer, Château Spill is an all-natural way to remove the toughest stains, like red wine, berries, and more. The pH neutral formula contains only 100% biodegradable surfactants—no peroxide, chlorine, or phosphates. Founder Harry Smail created it to work on heavy tannins, which includes beets, pomegranates, grass, and blood. Made in Austin, TX, Château Spill works best on fresh stains before they’ve had a chance to set. Use it on washable, colorfast fabrics and it immediately starts breaking down the stain-forming pigment at the cellular level. 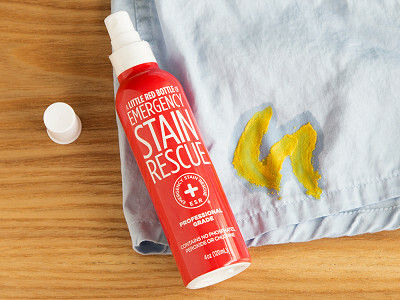 This hard-working stain remover is the perfect party guest. Hello everyone! 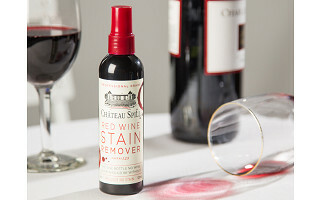 I'm proud to introduce Chateau Spill, the indisputable best solution for cleaning up red wine stains, to The Grommet. I'd be happy to answer any questions you have! Harry, this is incredible. I'm sold! One critique, I didn't have this a month ago when I spilled on my sister's couch. One request, a two-liter version. I'll probably need it. Awesome product! @Wallace Hi Wallace. Thank you for your support and apologies to your sisters sofa. We do work great on old stains as well. The trick is to dampen it with some water before you spray the Chateau Spill. This makes it a little easier for the Spill to do its magic. What if it is a dry clean only garment? @Cheryll Hi Cheryll it depends a little on why it is a dry clean garment and the nature of the stain. While our formula does not contain any chlorine bleaches, peroxide or phosphates it does include water. So if a garment does not like water than you need to be careful to avoid getting it too wet. So for a silk tie I dap a little on a paper towel and try and avoid getting too much water on there. If you do get a water stain then you can remove that the usual way. If it is dry clean only because colors run then again you have to be careful. We are safe for color fast garments (test on a bit of fabric out of the way). Sorry that i can't be definitive. Does that help? @Karen Hi Karen. This is a great question. I made Chateau Spill look good so that it can be out where the wine is being drunk/ fun is happening rather than stuck in the laundry. When a stain occurs you can give it a quick spray and see it disappear. While we do recommend laundering as usual you can soak away most of the residue using a wet cloth and wait until laundry day comes around. If the garment is color fast then there should be no problem at all. @Harry This also is the case if you spill something on a carpet or upholstery that is harder to launder. Like anything you put on a carpet the key is to remove the residue using a wet vac or sponge so that overtime the soapy residue does not pick up dirt. I can't think of a better hostess gift when paired with a nice bottle of red wine - so, I just bought 4 bottles. @Eleanor Your friends and their sofas and carpets will thank you! Can it be used on velvet or silk? 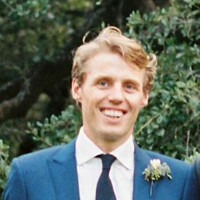 @Heide It is important that the cure is not worse than the problem! The Chateau Spill formula is not going to bleach a garment (the formula works using biodegradable surfactants rather than harsh chemicals) but it can cause issues with fabrics that bleed easily or react against water. So velvet (as long as it is color fast) should be fine as long as you are careful not to rub too hard. Silk, or Rayon say, is a little more complicated as the water can create a stain/cause shrinkage. Wine will be gone but water stain, that can be ironed, out remains. I would suggest using as little as possible of the formula - it is powerful stuff - and testing as you go. A spray on a paper towel and dapping works well. Does this help? If you would like more specific answer maybe you could provide some details on a specific material. Cheers. Hi Harry - does this work on a stained garment that has been repeatedly washed? @Christina Hi Christina. Rather than toot our own horn I can quote from Wired Magazine's review of Stain Removers - "It’s rare to see unequivocal results, but they were indisputable in my testing. 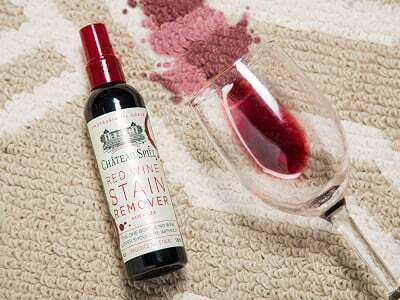 No matter what the type of fabric you’ve spilled on or how long the stain has been there, Chateau Spill is easily the best at cleaning it up”. Scour Grapes. WIRED, JAN 2015. Which is not to say we can solve all issues. Washing is not really the issue so much as drying where the heat sets the stain. But we really are the best chance to make it go away. Natures Miracle Just For Cats pet stain remover is just as effective at removing red wine stains, and is $20-25 per GALLON. I have not tested it on berry stains or anything other than red wine stains, but even red wine spills that arent super fresh literally disappear almost immediately. What makes this worth $9 per 4oz? I could maybe justify that price if it came with a guarantee that would pay for new carpeting or professional carpet cleaning if it doesn't get the stain out. @Sean Hi Sean - I would love to be able to make that promise but my accountant or lawyer might kill me! I should also say that were also not that happy that the product is so effective and so concentrated that you don't really need to use that much. 4oz' goes a very long way even for a habitual spiller like myself. I had tried the Just for Cats product when I was doing my testing and it does work pretty well on the fresh stains (less well on set in stains) but you do need to use a lot. We think that Chateau Spill's concentrated formula works better and lasts longer (and looks pretty good too). @Harry As an aside the people who really use a lot of Chateau Spill are my friends with new born babies. Not because they are drinking so much but, without needing to be too explicit, it really gets the job done with baby made stains. After all the science in the formula was developed in labs to remove iodine stains and quickly started being used to remove less savory stains. I was wondering if this product would remove coffee? @nora Hi Nora. 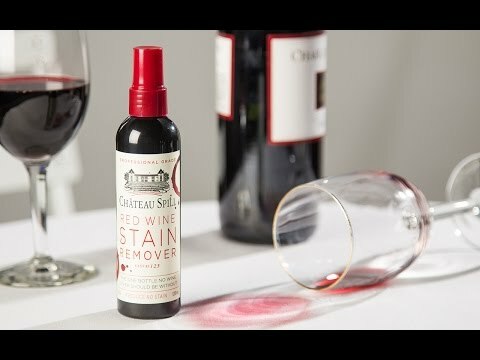 Yes Chateau Spill does not just work great on wine and red stains but on coffee, tea, grass and other household stains. The effect is not quite so immediate (wine, strawberries, blackberries, blue berries and pomegranate disappear on contact) but a little chateau spill and a damp cloth can clean up a blouse before an important meeting. If the spill is bigger than that then some Chateau Spill and into the laundry will take it out. Some stains like blood, grass or makeup need a little rubbing (fabric against itself) to let the formula do its magic. Will it work on food stains such as Indian curries and things containing turmeric ? @Valerie I love curries and so I know just what a stain they can make. Chateau Spill works on spices and other foods in a similar way to coffee and teas. Wetting the stain with a damp cloth, spraying Chateau Spill and then using the fabric to rub against itself will loose the stain and clear the color. Then you can lander as normal. For heavy stains you can repeat process before drying the fabric and setting the stain.